Will directly screw into any 1/8 NPT female port. 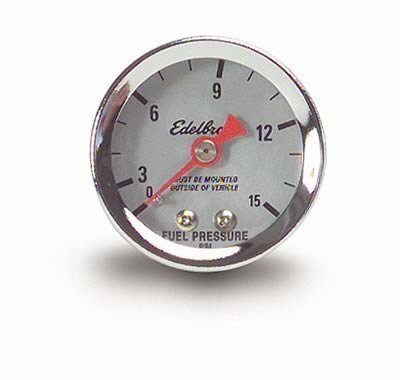 Edelbrock pressure gauges are an important element in getting maximum performance and consistency. The nitrous gauges may be mounted onto a nitrous bottle or just in front of the nitrous solenoid. Braided stainless steel lines are required for all nitrous gauges. They are illuminated and come with adapter fittings. 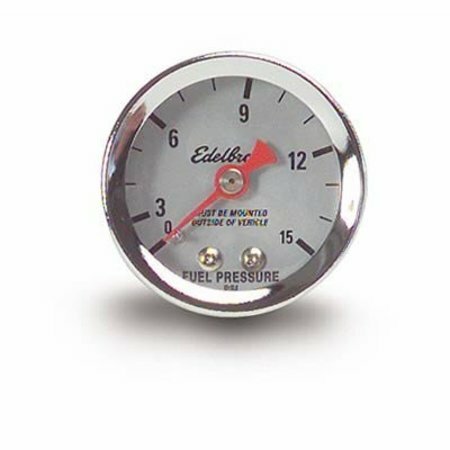 The liquid-filled gauges offer additional vibration dampening for durability and long-term accuracy. They are the best choice for competition or severe-duty applications.